During Refugee Week (18-25 June),16 students,6 staff and 1 parent under the team name of Oakhill4humanrights participated in the Ration Challenge collectively raising a $17304. 20 and finished up 1st on the National Team Leader board. This is a remarkable effort for the first year the initiative has run as a school initiative. 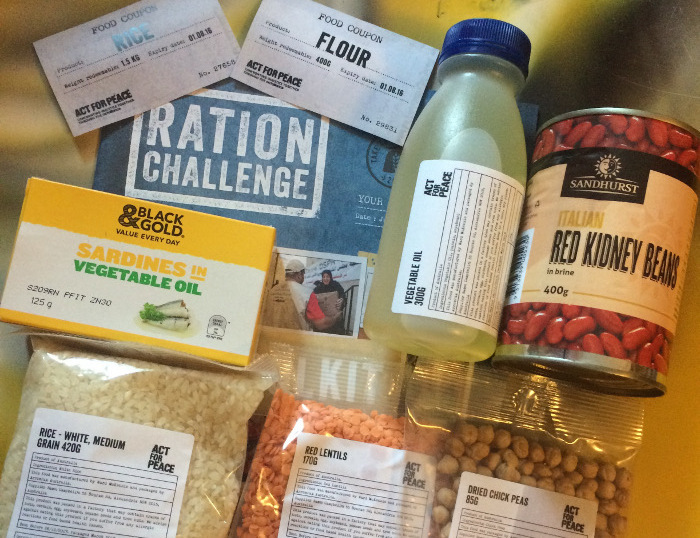 The Ration Challenge organised by Act for Peace which is the International Aid agency of the NCCA required participants to live on refugee rations to raise money and awareness for communities threatened by conflict and disaster. Karen Corbett participant and mother of Joshua Corbett of Year 12 who also participated in the challenge said she "heard about it on the radio and was interested in the idea... saw it in the school e-bulletin soon after it seemed it was meant to be. It was also an opportunity to share the experience with my son". The Plight of Refugees has also been felt amongst the students, Lachlan MacMahon Lasallian Captain "felt it was an important cause and I knew I would regret it if I didn't take part". The solidarity, sharing of recipes and food ideas was a highlight for many participates. Declan's Discount taco's (initially shared by Declan Montgomery of Year 12) were recreated day after day, rice took on many forms and for some mastering, cooking flatbread was a huge accomplishment. 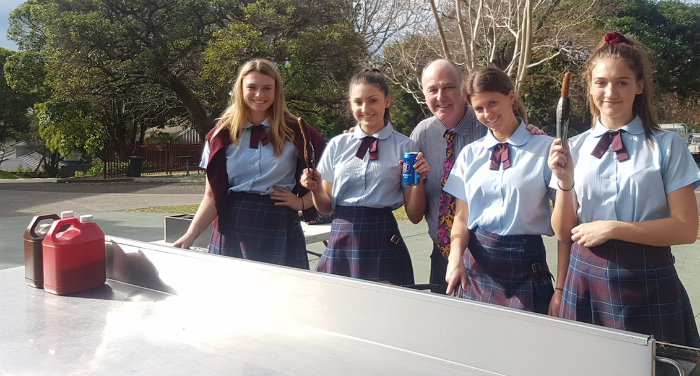 The Oakhill Community also donated to and supported the cause, whether it was it was buying lolly bags at the Athletics Carnival, enjoying the Sausage sizzle or appreciating the good vibes and music provided by the Year 12 students busking in the Year 12 Yard. The Challenge had significant impacts on the participants as they maintained their very busy school and work schedules, preparing for assessments, sitting exams, attending meetings, social activities and trying to "find alternatives and get creative with the rations" as well as "being with others who were not on the challenge while eating". Overwhelmingly all involved found the experience to be eye opening on many levels. In a society of excess and consumerism, the realisation that we are privileged and "have so much to give to those in need and that we can easily sacrifice to help the lives of others" as described by Ms Tidemann among others was a strong takeaway. For many, it was an opportunity to publically take a stand against the treatment refugees, raise awareness, start the conversations, challenge stereotypes and show that generosity and love can combat all the hate that is in the world. Ky Stewart acknowledges that although the Ration Challenge has ended for the year, our support of the cause has not, "Even though we raised so much money we are not done giving back. Those refugees we helped still need us and we need everyone to get on board and help in whatever way they can in whatever form they want to whoever needs help". Refugee Week and the Ration Challenge is calendared for 17 - 23 June in 2018, Oakhill4humanrights is participating, mark it on the Calendar and let's get hangry together!